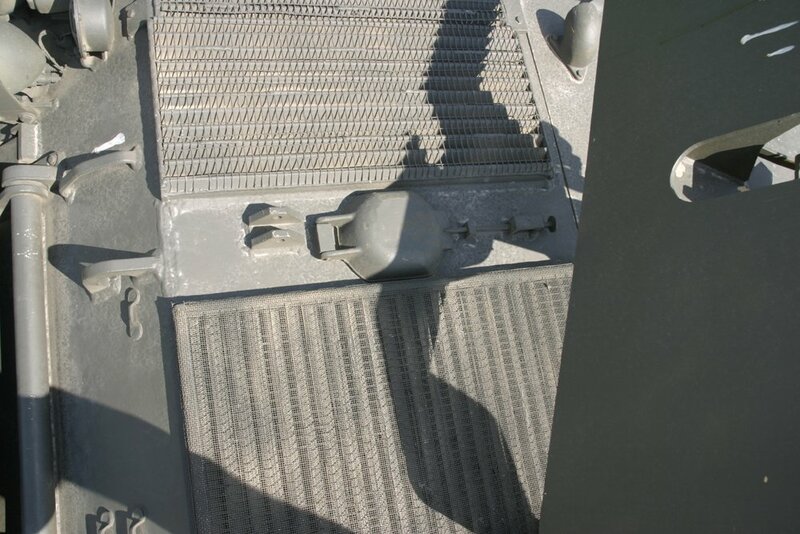 I can’t give you a direct answer having not measured one as far as I recall but I can give you a method which I used successfully on the T-34. 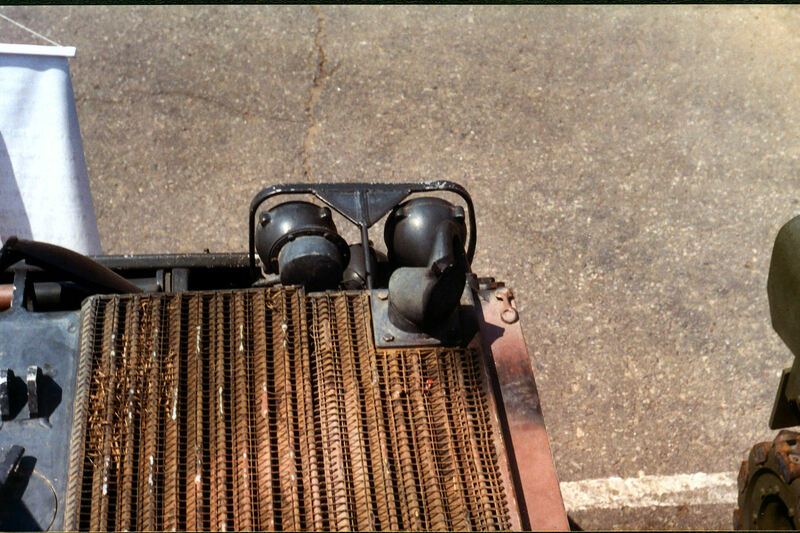 Find a clear photo showing the whole grille and count the number of rows either from front to back of side to side. 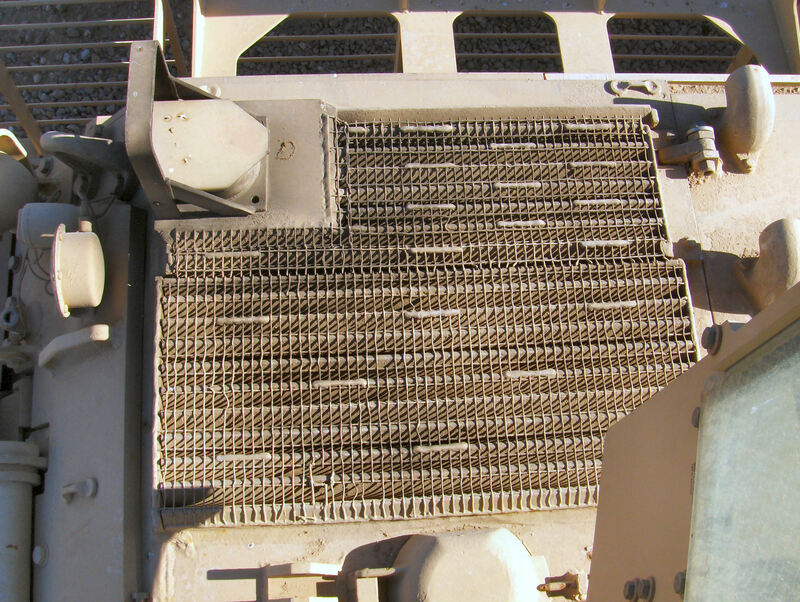 I think the M113 mesh is square. Then measure on your model the size of the grille. Divide that distance by the number of rows and you have the mesh size required. Check out art&craft stores and sewing suppplies. Ribbons for present wrapping and for tying flower arrangements are sometimes made of fine mesh. Stiffening the mesh so that it does not fall apart when being cut to shape. 5. Hold the soaked mesh in front of the splash board and blow air through it. The air will blow the surplus CA from the mesh to the splash board. Only a little will remain in where the wires/threads cross. The moisture in your breath will speed up the curing of the CA. The CA reinforced mesh will hold together guite well but it can't take just any level of abuse so some care is needed when cutting. Sharp scissors will work if you are careful but pressing down with a steel ruler and cutting a few strands at the time with a rounded knife blade (nr 10 or nr 5 scalpel blade) is probably better. Edit: Thanks to Matt for providing the correct name for the material. I bought a very cheap set of cheesy black tulle curtains some years ago. 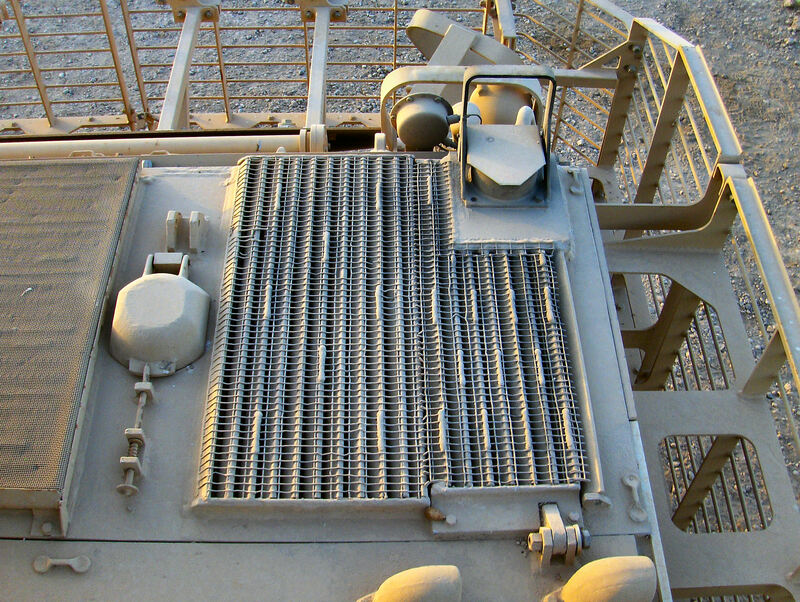 That one was a very fine mesh, suitable for the finer mesh in one of those M113 images linked in my previous post. Now I have mesh to last me a couple of lifetimes but the whole thing, about 6 square yards, only cost 3 to 4 times as much as the small sheets sold in hobby stores. Head to the craft/fabric store.... look for Tulle. the stuff most wedding veils is made from. the mesh comes in various sizes. As Robin mentions, it can be found in Ribbon form as well.